This beautiful memorial commemorates the service, valor, and sacrifice of more than 28,000 Vietnam Veterans from our region as well as the 280 men who gave the ultimate sacrifice. The memorial also provides an opportunity for learning, remembering, and peaceful reflection, with the intent of educating future generations about the war. Conveniently located in Highland Park, this meaningful tribute is endorsed and supported by the Monroe County Legislature, Monroe County Department of Parks and Chapter 20 of the Vietnam Veterans of America. 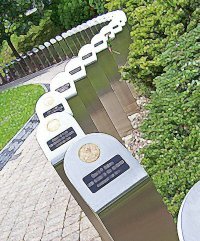 For more information, go to www.rochestervietnammemorial.org. Other memorials throughout the county commemorate the patriotism and sacrifice of our men and women in uniform. Visit your local town hall for information about veteran memorials in your community. If you have lost or misplaced your separation papers/DD214 it is possible we may have a copy on file in the office for you. Our office stores thousands of Monroe County Veterans’ records from WWII through the present. If we don’t have it here we can help you obtain a copy from the National Personnel Records Center. 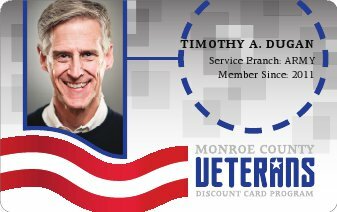 We encourage veterans to have their original separation papers/DD214s recorded with the Monroe County Clerk’s Office so that a certified copy may always be obtained. Separation papers/DD214s may also be submitted to the Clerk's Office through our agency.